Managing the safety of workers and others who may be affected by your work activities is an integral part of reducing the risks your organisation is exposed to, not to mention your moral and legal obligations. 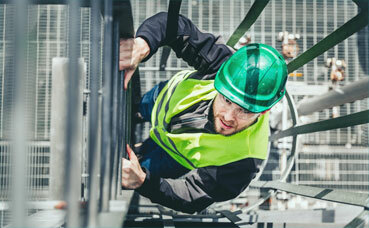 LGIS provide a team of occupational safety and health (OSH) professionals dedicated to assisting you to improve and maintain your safety performance. For a quick summary of our OSH services, please see the occupational safety and health flyer (pdf). For further information or to discuss how we can assist you through the many programs we deliver contact our OSH Team on 08 9483 8888. Understanding the needs of local government is an important facet in how we provide our service. A key initiative for this is the Local Government Safety Advisory Group (LGSAG). Chaired by LGIS, this forum meets bi-monthly and is attended by personnel from across local government. At this forum we share our thoughts, ideas and experiences, as well as hear from subject matter experts on a vast range of topics related to safety. If you wish to become an LGSAG member, whether as an attendee or just join the mailing list to keep ahead of the issues we discuss, please contact a member of our OSH Team on 08 9483 8888. It is important we all play a role in maintaining safety motivation. A lack of safety motivation can negatively impact the entire workplace, leading to injuries, negatively impacting morale, increasing absenteeism, restricting growth and development, and reducing your ability to service your community. Workplace leaders, especially, play a vital role in establishing a climate where safety is always at the forefront of workers’ minds. Where workers are comfortable speaking up when hazards are identified and near misses are seen as learning opportunities; everyone is personally motivated and committed to effective ​safety performance.